Brains and Beauty Dolls are empowering young girls through doll play. 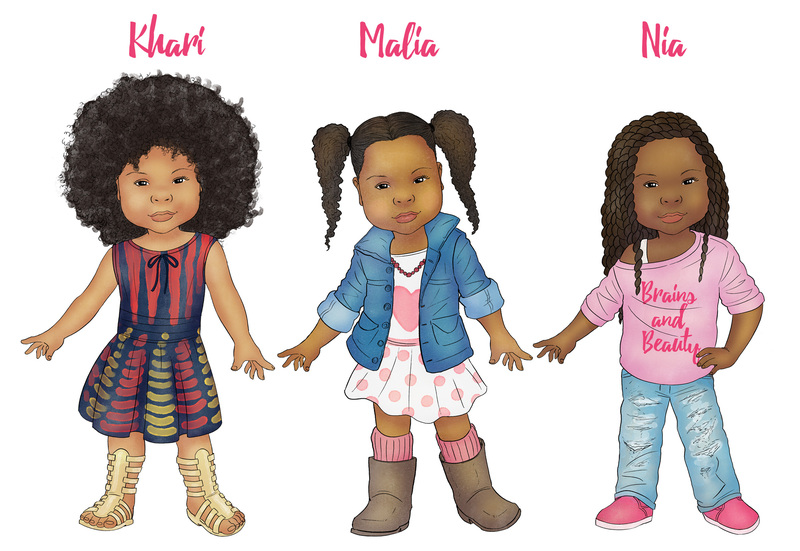 One thing that hits the young black community hard is lack of representation, and major baby doll companies have definitely white-washed the industry, leaving many little girls confused and unable to relate. One baby doll company is working to change that for young girls of color by doing more than supplying dolls with darker skin tones. Instead, Brains and Beauty Dolls represent our young black community in several ways. Niya Dorsey, the founder of Brains and Beauty Dolls, was inspired by her one-month-old daughter, Malia, to kick off the doll company. Niya wanted her daughter to grow up with a doll that truly represented and inspired her, so she went to Kickstarter with her plan in 2017. Early 2018, she received her first shipment of dolls. Since, she has had one goal: using her dolls to empower and inspire little girls all over the world. These dolls aren’t the typical baby doll, either. They each come with a personality all their own. One doll, Khari, rocks a sassy, natural afro and tribal printed dress. She also comes with a few unique details. Khari is strong-willed and dedicated to becoming a successful lawyer one day. Another doll, Malia, is inspired by fashion and chases her goal of becoming the CEO of her own fashion line. She has long, natural curls and is fitted with a dress and jean jacket. All of the dolls come with real human hair and speak 20 empowering phrases to encourage little girls to chase their dreams and never give up. 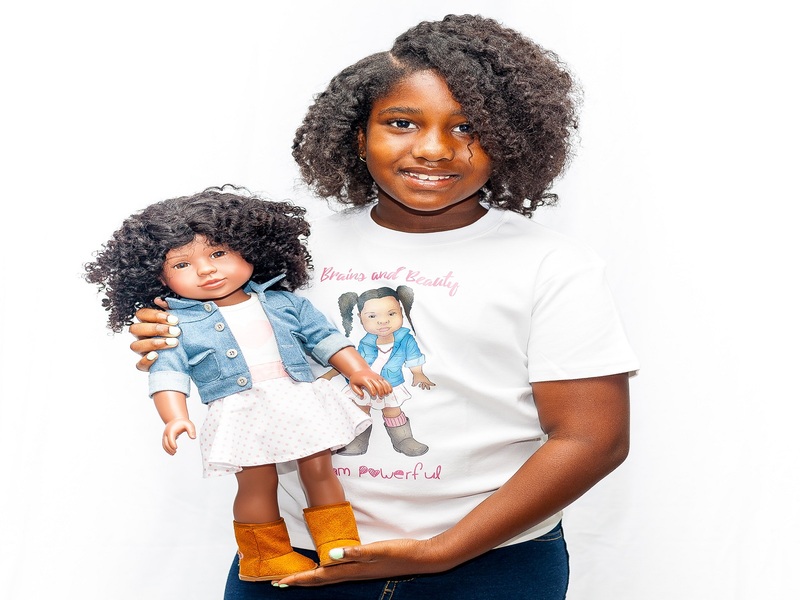 This up-and-coming doll company has one imperative goal: allowing young black girls the opportunity to connect and relate to their favorite doll while empowering them to recognize their own beauty, intelligence and inner strength. At a time where the black community lacks representation and multiple hurdles stand between our young community and success, these dolls stand their ground. How important are these dolls to our children’s future success? Research suggests that they are pretty important. In fact, using dolls and partaking in “pretend play” is one very crucial step in the cognitive development process for children. This is because it allows them to play out more “realistic scenes” that help them develop preferences, goals and values. Unlike playing with cars, dinosaurs or teddy bears, young girls can look at the Brains and Beauty natural hair dolls and see themselves. Then, when they partake in “pretend play” they are taking the first step at looking forward to their own path in life. When combined with the empowering phrases that come set for each doll, playtime could quickly spiral into improved self-image and confidence, and big dreams. Another benefit to playing with these dolls is that little girls learn how to interact with others. Brains and Beauty Dolls will teach your child the power of strong, kind words, encouraging them to spread love to other little girls as they grow. As a whole, these dolls can quickly lead to a chain reaction of empowerment throughout our young black community. As a parent, you are indefinitely concerned with your child’s development. Brains and Beauty Dolls are making an important impact on our children of color, and working to bridge the gap between lack of representation and our children’s ability to achieve. These natural hair dolls could easily be your child’s new best friend and can be the catalyst to a lifetime of love, confidence and success.